Reserved vs. Absolute Auctions: Which Is Best for You? | Wilson Auction & Realty Co, Ltd. 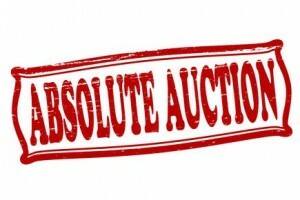 Reserved vs. Absolute Auctions: Which Is Best for You? If you work in the agricultural industry or own a commercial company and you have an interest in selling off old equipment, one of the best ways to do it is by holding an auction. Auctions will allow interested buyers to place bids on the items you are looking to sell, and they can drive the price up for your items in a competitive environment that will help you get top dollar for your items. But before you decide to auction off items, you will need to decide whether you want to hold a reserved auction or an absolute auction. Reserved auctions are auctions that have reserve prices set before the auction takes place to guarantee that you receive at least a minimum amount of money for your equipment. Prior to an auction taking place, you will work with an auction company to come up with the lowest price that you would accept for an item or items. The price you set must be met during an auction for a sale to be considered final. Reserved auctions will allow you to maintain more control over the price and create a sense of urgency surrounding your auction, but they may also limit the number of potential buyers. There’s also always a chance your reserve price might not be met, which means you may still have the item unsold when the auction comes to a close. Absolute auctions, on the other hand, do not have a reserve price in place. This means that the final price for items will be determined solely by those who are bidding on them with no minimum requirement. Absolute auctions tend to draw a wider, more diverse pool of potential buyers, creating more demand around your products. You can also know that so long as an item receives at least one bid, it will sell. It’s a very effective strategy for selling a large number of items at once, and as long as you work with a trusted auctioneer, you should be able to get a great return when you hold an absolute auction to sell items that your company or farming business doesn’t need anymore. Regardless of which type of auction you ultimately decide to hold, Wilson Auction & Realty can help those looking to sell their used agricultural machinery and commercial or industrial equipment. We have more than 100 years of collective industry experience and know how to conduct successful auctions for a wide range of different clients and organizations. If you want to hold a reserved or absolute auction in the near future, call us at 866-870-5500 today and learn more about setting up your sale.